Back at the end of June, I started an experiment on my Nexus 6P. Like many of you, I have dozens of apps installed on my Android phone with the vast majority of them being accessed just a handful of times per week or month. Yet, with those apps installed and with them organized on my various home screens, I still found myself doing a lot of swipes and taps to get to things. Personally, I found that frustrating so I took a drastic step and eliminated all of my home screens except one. Admittedly, the first couple of days were rough. But as I got use to using the power that is in the Google Now Launcher, I can honestly say that life in one screen works for me. But at the time I started this little experiment, it wasn’t just me who tried it. Fellow tech enthusiast Kyle Reddoch (You can find him on Google+ and on Twitter) tried the experiment too. During these last few weeks, while we’ve had plenty of Hangouts discussions, we’ve not talked about life on one screen until earlier this week. The result? Both of us don’t plan on going back to multiple screens any time soon. I’ve outlined in this post the thought process behind this little experiment and how we went about it. 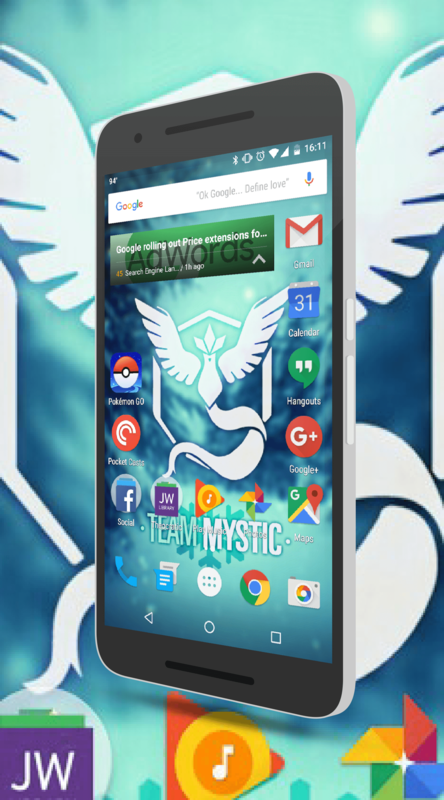 I’ll cover the tools we are using that have made this transition much easier than expected but frankly, it all comes down to the Google Now Launcher and our voices. If there is one thing this experiment will teach you, it is the power of voice commands. suggest is that in some cases, using a folder can be handy. For example, if you look at both my and Kyle’s one screen, you will see folders. In my case, I have one for Health apps, Social apps and Office. All of the Microsoft Office apps are in the Office folder along with the Google Docs apps (Microsoft apps for work, Google Docs apps for everything else in my world). Some will say that using a folder is cheating but for me, I had rather have one screen with one folder tap to open a collection of apps than having to swipe about on multiple home screens. Secondly, I can suggest that you be highly critical of all of the apps you are considering for your one home screen. Do you really need it on there? Take Google Contacts for example. You’ll note on my home screen that it isn’t there. Why? Because I don’t ever really use it. If I am calling someone, my contacts are sync’d with my Phone app. If I’m emailing someone, my contacts are sync’d with Gmail. The reality is that as good as Google Contacts is as an app, it doesn’t need to live on my home screen as I just don’t use it as a standalone app much. If I need to update someone’s contact information, then I’ll just open the app and edit that contact. But to have it sitting on my home screen idle 95% of the time is space wasted. Part of the life on one screen process was also determining which widgets I really want to use install of having the apps on my home screen. Widgets are handy and uniquely make Android a bit more functional on one screen over other platforms out their like iOS. If you like widgets then, like apps, you have to really decide which ones you want to use on your one screen. In Kyle’s case, that is only one: Feedly. For me, I keep track of my steps with Fitbit, my water intake with Hydro Coach and how much data I have used on my Project Fi account through widgets. There is no right or wrong answer and if you really want to get as many apps as you can on your one screen, bypassing widgets all together will give you more screen space to do it. Of course, you can also use the search bar at the top of your home screen to type in the name of an app, contact, etc if you don’t want to us voice commands. My point here is that both Kyle and I have found ourselves using voice commands and typing in the Google search bar far more than we use the app tray. What makes this really happen is Google Now. The Google Now launcher deeply integrates with Android and really brings to bare all of the searching and voice commands I’ve outlined. Sure other launchers have similar functionality and I know there are those who love other launchers. If, however, you are going to try to get your Android life down to one screen, it is my view that The Now launcher is the best option. After living my Android life in one home screen for several weeks now, I can’t see going back to multiple screens. Kyle feels the same way. Once you get through the first few days and really start leveraging OK Google and the Google Now launcher, you will find there is a simplistic beauty to having one home screen. But don’t think that once you have set up that home screen that you are stuck with it. I know I found that I did end up moving some apps from the home screen and others to it as my usage pattern dictated it. You may find yourself doing the same thing. That’s okay, along with using folders and widgets. The object here is not to make your life painful but rather to simplify it. That process can take some time. If you decide to try life in one screen, drop a comment and let me know how it goes for you.